As times move on and the need for a hardier product but still requiring the classic look of a wooden floor we now stock the brilliant Isos floor. This floor is a huge step forward in the wooden effect floor market as it is completely weather proof so can be used both inside and out with no need for underlay! This floor comes in a dark oak finish that’s guaranteed to impress your guests! 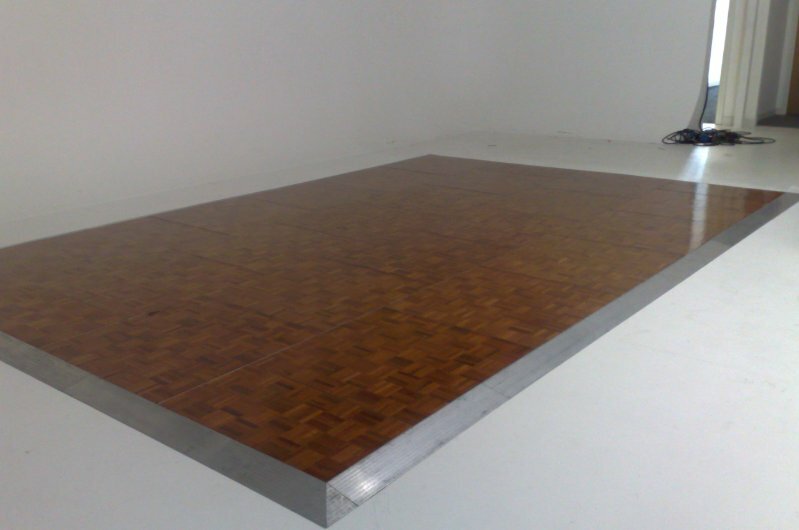 Also being an artificial wooden floor the surface has also been manufactured with an anti-slip finish unlike the traditional varnished floors which became incredibly slippery once the first drink had been spilt. Wood Effect / Oak Parquet dance floors give your evening or event the look of style and elegance and can be seen in many hotels and venues such as the Hilton group, Forte, QMH, Holiday Inn, Jarvis and many more. 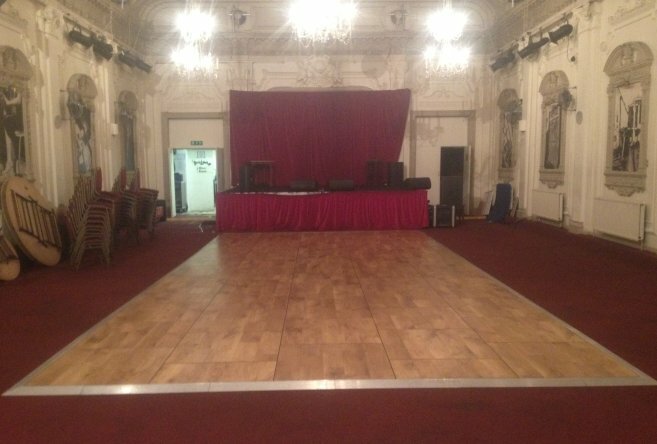 Our Oak effect dance floors can be used for all inside and now even outside events or functions and will look absolutely amazing. Oak parquet and wood floors are highly lacquered and polished for a very hard wearing and beautiful finish that scratched when chairs are taken across them. 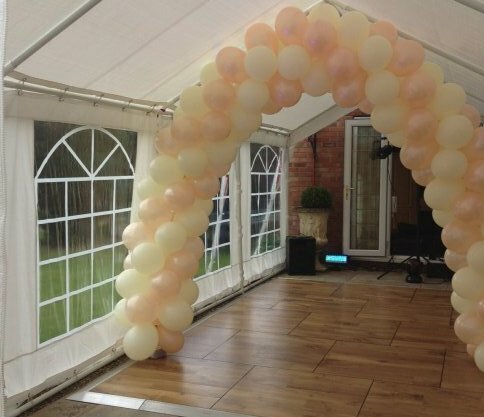 Which is why we have replaced it all with this brand new wooden effect floor, It has a wonderful traditional wooden look that does not scratch, it is the same size panels as all of our other floor types and styles and it can even be used alongside the other finishes to create a unique look to your event. 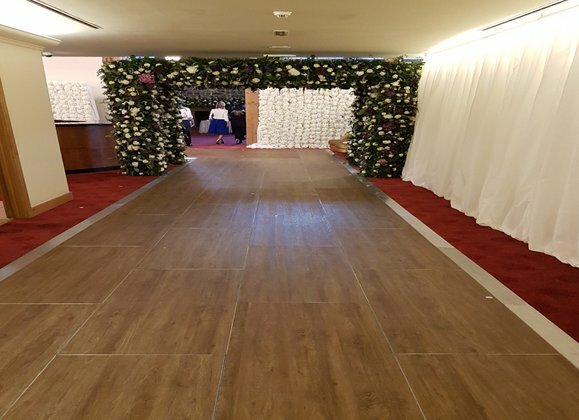 This floor is great for a traditional elegant look and of course it can now be used for walkways inside and outside of your venues. Contact us today for further information or to book a dance floor for your event, party, wedding or function.